There is a tendency in many Christian circles to think that if a particular theological viewpoint can quote a lot of Scripture, it must be right. For example, in a recent book defending The Five Points of Calvinism (by David Steele and Curtis Thomas), the authors seem to think that if they just quote Scripture, they have proved their point. For each of the five points, they provide a theological explanation for the point, and then “prove” it by citing numerous pages of Scriptural proof-texts, without ever attempting an explanation of any of those texts. 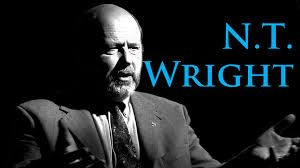 I recently listened to a debate from several years ago between Bob Wilkin and James White. James White used almost his entire opening statement to simply read Bible verses. The implication was that to prove Calvinism, all you have to do is read the Bible, and anybody is not a Calvinist, hasn’t read Scripture. I call this shotgun hermeneutics. Those who use this tactic try to “blow you away” by the sheer number of verses they can quote which they feel proves their point. When you try to explain one or two of them to show that you are aware of these passages but have a different understanding, they will focus on all the other passages they quoted which you did not explain. Calvinist: My view is right because of Passages A, B, C, D, E, F, G, H, I, and J. If you would simply read and believe the Bible, you would agree with what God said. Calvinist: Well, that’s certainly a creative way to understand Passage A. But we know your interpretation is wrong, because of Passage B, C, D, E, F, G, H, I, and J. Me: I wasn’t trying to explain those passages, but again, I am aware of them, and all of them can be understood in a similar way as Passage A. Me: But those are all Calvinistic authors. Of course they will agree with your interpretation. Calvinist: Are you smarter or more godly than they are? Calvinist: Then since they all agree on what those passages mean, and there are so many passages that teach Calvinism, Calvinism is the truth. After all, what about Passages K, L, M, N, O, P, Q, R, S, and T? Me: Yep. Those are all in the Bible. Calvinist: Hah! I knew you would be silenced by the logic of my system and the irrefutable evidence of my many Scriptural proofs. To God be the glory! Calvinist: That’s because you’re a depraved heretic. Me: Oookaay … I gotta go. See ya later. Calvinist: I’ll be praying for your soul that you would repent from your darkness and be brought into the light! If you have ever tried to discuss theology with someone who holds strongly to a particular system of theology, you know that this is how many of these discussions go. Recently, I have noticed this shotgun hermeneutics tactic being used by some who disagree with me on various other issues. 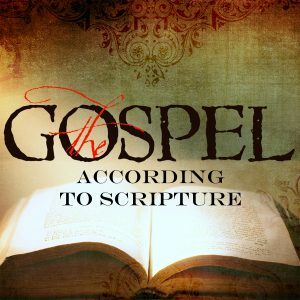 In their own blogs and in their comments on this blog, they seem to imply that I have not read the Bible, and that if I did, I would see the truth of their position. They argue that when they quote Scripture at me, I am silenced by the weight of Biblical evidence. Yet when I attempt explanations of one or two passages they quoted, they say that my interpretation cannot be correct because of so many other Biblical passages which say something different, and furthermore, nobody they have ever read holds to my interpretation. Then I get called a heretic. Shotgun hermeneutics and name calling is no way to proceed in theological discussion. 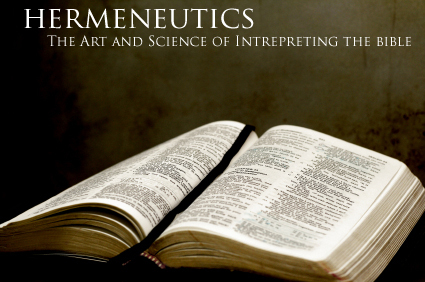 Shotgun hermeneutics isn’t even a proper method of hermeneutics. It’s actually a form of proof texting where dozens of passages are ripped out of context in order to prove a theological point. So in order to really get somewhere in theological debate, the two sides must agree to discuss one passage at a time, and stick to it, camp upon it, walk around it, and work through it. Hopefully, you can both arrive at two or three possible interpretations of that one passage. Only then can the two sides go to a second passage. The same thing is done with passages A-Z. Only when this entire process is complete can the two sides go back and reconsider all the evidence, in which any contradicting interpretations are discarded, and hopefully, only one possible interpretation remains. Though this usually doesn’t happen, at least then you will understand each other rather than thinking the other side has never actually read the Bible. The systematic verse-by-verse approach is what I used about 15 years ago to leave Calvinism. So that’s what I did. It took me about ten years, at the end of which time, every single point of Calvinism had fallen for me. 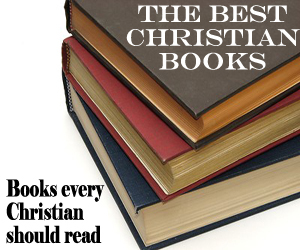 However, I still read books and articles by Calvinists and those who disagree with my views. Why? Because if I am wrong in my understanding of a particular passage, I want to know. I hope you do too. So don’t practice shotgun hermeneutics. Such a practice is not beneficial since all it does is take aim at other people’s heads in an effort to blow them away. 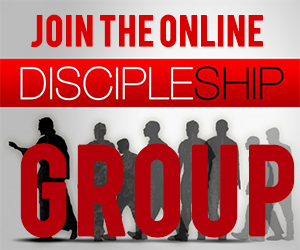 To take these courses, you need to be part of the RedeemingGod.com discipleship group. Go here to learn more and join us today. Jeremy – I enjoy your blog very much. I love the spirit in which you write. Thanks for the comment. I read your blog every day and am always challenged and encouraged by it. Keep up the good work. The good ol’ rapid fire proof text — machine gun apologetics. Funny, yet sad post. Very true. Jeremy you have put into words something I have felt for a long time. Be Blessed! Thanks for the comments. You have a good start at your blog there Tom. I liked the “Friend of Sinners” post. Antonio, I laughed when I read the “machine gun apologetics” statement. That describes it quite well. A rather funny approach to the topic. Unfortunately I think more than just Calvinists to this. Lots of Christians rattle off context-free verses to prove a point and never stop to consider those passages in context. The implication was that to prove Calvinism, all you have to do is read the Bible, and anybody is not a Calvinist, hasn’t read Scripture. Does that not get just so annoying?! You are absolutely right that many Christians use this tactic to defend their view. I am sure I have been guilty of it at times! I checked out your blog and was encouraged by your post about looking for a church to serve in rather than a church that will feed you. Keep up the good work over there at Homeward Bound. Yes, I have often wondered if this is a big reason Free Grace theology has not made greater inroads in certain areas, and why men like MacArthur just ignore us. If all we do is list Bible verses, I would ignore us too! Thanks for sending me your thesis. I will be reading it and thinking through it this week, and will probably have some questions about it. It is so encouraging to read this post, as it confirms many things I have been discussing with the LORD lately. I have recently become very disgusted with the way theology makes so many people act when they are confronted by their beliefs, and you have described those reactions perfectly in your description of “shotgun hermenuetics.” While there are certain theologies that I know I agree with, and I don’t see anything wrong with allying one’s self with a theology, I have been impressed lately with the danger of being ultimately loyal to a theology, rather than to the Word of God. Because theologies are ways of describing what someone believes the Word of God says, and are therefore subject to the possibility of human error. I will never again stand by a theology simply because it is what I am taught, or because the pastor of the church I go to believes it. I have realized the importance of testing EVERYTHING I hear against the Word for myself, and to do so repeatedly and with much prayer, because only then can I hope to know what the truth is, through the understanding of the Holy Spirit within me. Thank you again, I’ll be reading your blog often I think. P.S. I am a former member of Duluth Bible Church, and have been under Dennis Rokser’s teaching almost my whole life. I completely agree with Jonathon P.’s conclusion regarding Rokser’s article on Lordship Salvation. 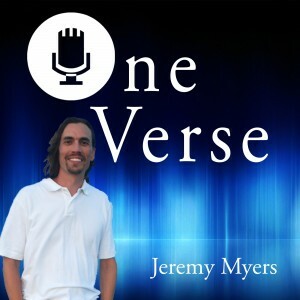 This “shotgun” approach is what Dennis uses every Sunday and every Wednesday in his messages, and is what he calls “verse by verse” study. While I appreciate the amount of Scripture he uses when he teaches, I do not always agree with the way he uses it, because more and more often, I am finding myself disagreeing with his conclusions, as I study the Word on my own. I’m so thankful that the Holy Spirit was able to show me how important it is to study the Word on one’s own, and not just accept unquestioning whatever comes over the pulpit. I am glad you are practicing a Bible study method which studies the Scripture in-depth, rather than just accepting whatever a certain Bible teacher tells you to think. Keep in the Word! Thank you very much for reading my blog, at least what I have so far, and for the encouragement and support. I FINALLY figured out how to activate the comments on my blog, thank you for letting me know that they weren’t working, I didn’t realize it at first. I’m looking forward to fellowshiping with you and discussing the Word in the future. God bless! Good article. I think such an approach to hermeneutics seems to believe that the words somehow have inherent clear meaning in themselves without reference to a context. Personally, I think that the context includes not only where in Scripture the passages are from (including rhetorical function, narrative position, etc.) and the historical-cultural background, but also the context of the person using the quote. In other words, the quote is being used within the context of a theological position and it means what they assert it to mean (or don’t even bother to assert, but merely assume we should see) at least partially because of their presuppositions with which they come to the text. Their meaning/understanding is surely only self-evident if one shares their presuppositions in the first place. Part of persuasive argument must (in my opinion) include discussing our presuppositions with one another as part of the debate around context so that people see where we are coming from. Great point. There is so much to contextual issues, and uncovering our own presuppositions in the process. This is part of the reason we all need each other! This is also basically my testimony of departing Calvinism. The shotgun approach was just attempted at me yesterday as a matter of fact… it turned out not one of the verses cited in the list had anything to do with the topic at hand :)… as per usual. 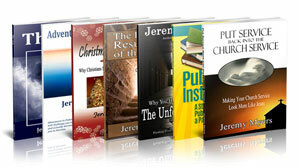 Jeremy, so you are a 5 point Arminian? No. I am neither Calvinist nor Arminian. I believe that eternal life is a free gift of God to all who believe in Jesus for it, and that works play no part whatsoever in gaining, keeping, or proving eternal life. The whole Calvinism-Arminianism debate uses definitions for words and terms that I do not agree with, and so I am not in the ballpark for either team. I am in a completely different ballpark. What ballpark? Your description of yourself above seems no different than how a Calvinist or an Arminian might describe themselves as well. You are very vague. You said you have rejected all five points of Calvinism, have you rejected all five points of Arminianism as well, or do you hold to any of them? I know you write a lot of blogs and comments on many subjects, but can you classify yourself more clearly? Conscisely what are your views, for example, how would your position differ in regard specifically to the 5 points of calvinism? I do not agree with any of the five points of Arminianism either. I cannot say what “ballpark” I am in, because to my knowledge, it has no label. I cannot be more specific in a short little comment. My disagreements with the five points of both Calvinism and Arminianism iare not exactly with their theology or understanding of Biblical texts, but with something much more basic than that: their definition of certain biblical words and theological ideas, such as election, grace, salvation, atonement, justification, eternal life, forgiveness of sins, etc, etc. Both Calvinists and Arminians agree on the definitions of these words, and then argue about how they all fit together. I disagree with their definitions of these words, and therefore, their issues with each other are not issues for me. Out of curiosity, where do you stand on the Calvinism vs. Arminianism debate? I would agree with 4 of the 5 points of Calvinism, I hold to unlimited atonement – therefore I would be “labeled” as a “moderate Calvinist”. Well then, perhaps you could give your definitions for the theological/biblical terms you cited above plus any other necessary terms that you didn’t cite (i.e., your definition in distinction to the Calvinist/Arminian definitions of those words)? I am not going to tackle those definitions in a Facebook comment. I will eventually get around to writing a whole series of posts about them, and would love to interact with you more at that time. By the way, I used to be a five-point Calvinist, and Limited Atonement was the first one to go. Please let me know when you write those posts, thanks! I came across the blog today doing research on a topic, and I must confess I found it at least a little amusing. At the time you wrote this blog, you were in the employ of the Grace Evangelical Society headed by who? Bob Wilkin. Now seriously – can anyone take seriously that you of all people could be an impartial judge of a debate featuring someone for whom you work? I never implied I was impartial. But whether you agree or disagree with Bob Wilkin, at least he did more in this debate than spend most of his time reading Bible verses. That is pretty much all White did. Does White seriously think that Bob Wilkin or others like myself have never read those verses in the Bible before, and that simply by reading verses we will be persuaded to another position? Ha! Yes, it sometimes seems so! The the craziest thing is that people who quote all the verses seem to think that you are not aware of all those verses. This is such a funny post and it’s so true. I’ve recently changed my views on James 2. I just read your take on it and completely agree. Faith without works is dead. Useless. For us and for others also. Thanks for letting me know you read it and found the post on James 2 helpful! Don’t you just hate it when people use the bible to back up their beliefs? Ha! Of all the calvinists you’ve mentioned, none are guilty of this style of hermeneutics. This is hardly a fair article and in a debate this would be considered a strawman arguement. There’s no doubt that based on your imaginary conversation, comments and ex-calvinist statement that this is just another anti calvinist article. Had you have left Calvinism out of the picture, you would have had a point but not only have you painted all Calvinists with one brush (intentional or not) but you’ve also personally misrepresented James White by using him in your opening statements and connecting him to “shotgun hermeneutics”. I’m not sure why you would do this. No, people should not use this style of hermeneutics to just intimidate others. However your article encourages people to interpret individual scripture A outside of the context of B-Z, a dangerous method of interpretation no doubt. The reformers we all about getting the bible to the people so they could make their own interpretations. However they never encouraged interpretation of passage A outside of B-Z or a surface level shotgun approach to interpreting and explaining the bible. Well, I have had numerous conversations with Calvinists that are exactly like this. Also, I have listened to debates between Calvinists and non-Calvinists, and this is the tactic often used. For example, I have heard James White use it. Then there the books like The Doctrines of Grace by Boice, Ryken, and Sproul which uses this exact tactic when “defending” the 5 points of Calvinism. They start each chapter with a short explanation, and then the rest of the chapter is nothing but Scripture quotations. Yes! That’s a great way of describing it. Great article. Depending on whom one is speaking with, and what subject, different approaches make sense. A narrowed focus can be helpful. One very valuable study method is to look up all the instances of a particular word or theme in Scripture and study them together. Scripture discusses a lot of subjects in multiple places, and seeing all the verses on, say, “gratitude” can be enlightening. Chuck Missler taught me that one…. Have you got a Nave’s Topical Bible? It’s online now. I found it easier to read than Strongs in that it gives passages rather than a single verse or phrase. Love the interlinear. Great tool. I think the author protests too much. The opposite is actually true, in my experience, at least on social media. There is a frightening absence of scripture being posted. There is no danger in quoting scripture, even if the passage(s) proffered don’t actually address the issue at hand. It’s more like handing someone a screwdriver when they actually need a pair of pliers. Scripture, even inaccurately quoted is not a danger so much as being completely embarrassed to quote it at all.